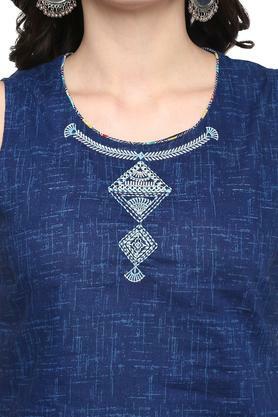 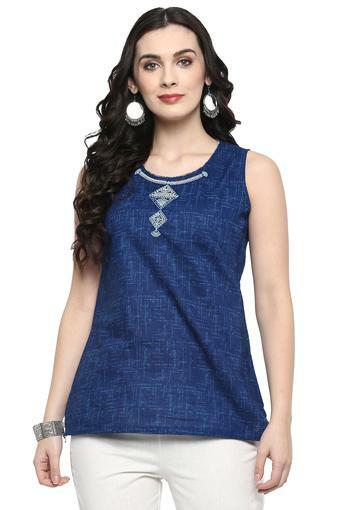 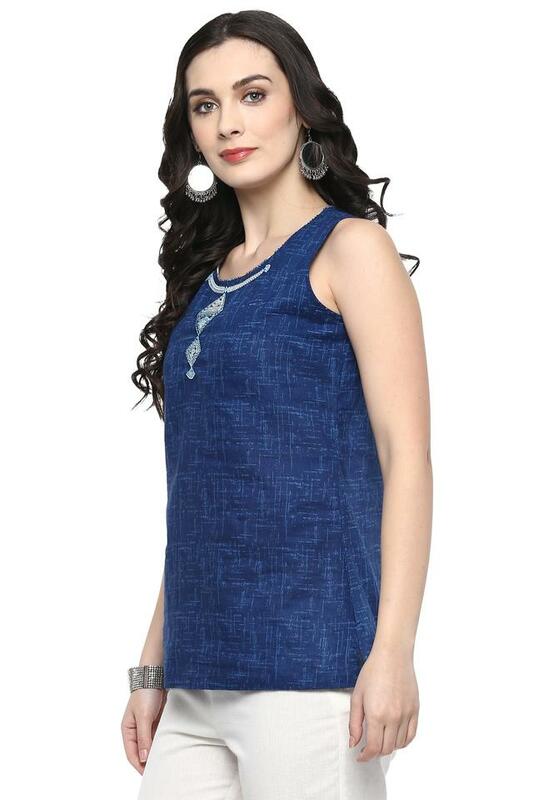 Wear your attitude with this top from Rangriti. 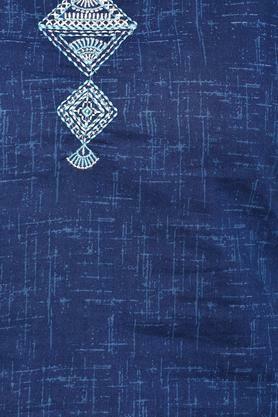 It has been crafted from good quality fabric, it will keep you at ease for long hours. 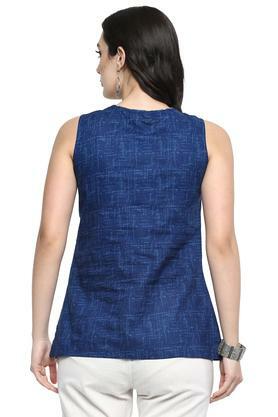 It features a printed pattern along with a perfect fit design that renders it stylish, while the round neck makes it convenient to wear. If elegance is your style, then this shirt is a perfect pick for you. 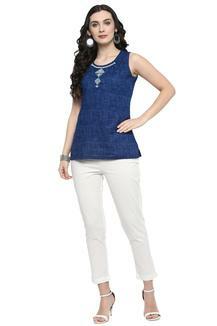 Style this shirt with a pair of jeans and pumps for sophisticated allure.